Never more than one family or group in residence thereby assuring your complete privacy in your own 5 star luxury private boutique Chiang Mai resort. As our guests, we design your stay to include the best local activities or leave you to just relax by the sprawling private pool. 35,000 THB ALL INCLUSIVE FOR 2 PEOPLE SHARING. We carefully placed each plant here and selected every tree one by one. We oversaw the exact placement of each giant boulder, no small feat given they arrived by more than 20 truckloads. Howie visits the local plant markets, constantly updating the lush gardens. It is a passion. 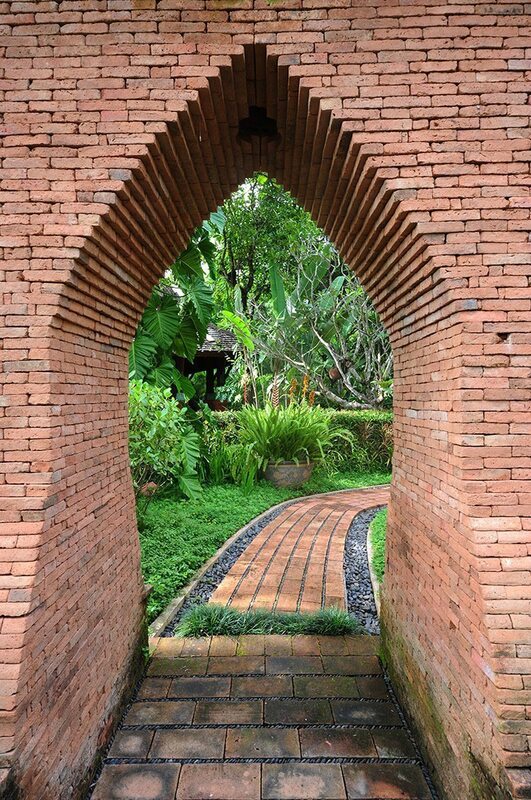 Howie’s HomeStay’s Chiang Mai luxury resort has lush tropical gardens that really do make the entire property cooler. This reduces our use of air conditioning significantly. It also creates a welcoming environment for all types of wildlife. 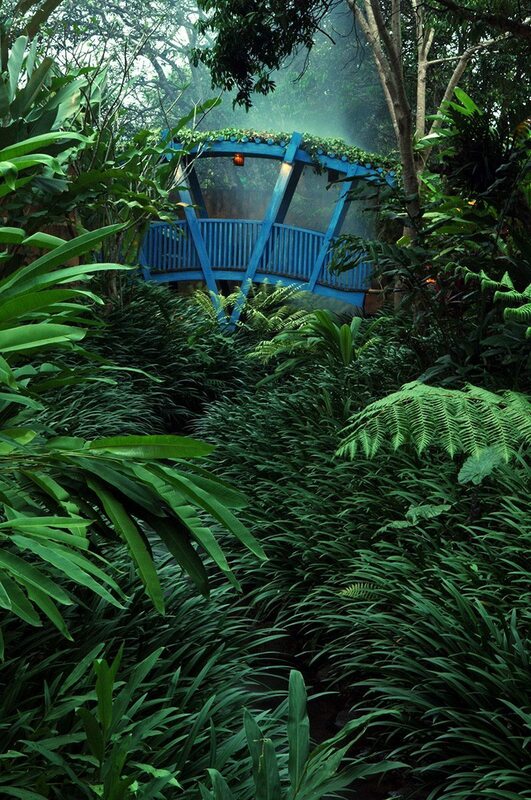 You will see and hear frogs, majestic butterflies and honeybees to name just a few. They all do their job to sustain nature and make for a greener eco-friendly lifestyle, which happens to look beautiful too. We do not use chemicals in our garden. Instead we have a large composting area. There is never any burning here. We have learned that being ‘Eco’ and ‘Bio’ friendly are the least that mankind can do to repay and respect Mother Nature. All this gardening has brought us more in tune with our environment, and we invite our guests who are curious to come dig their hands into the earth with us. 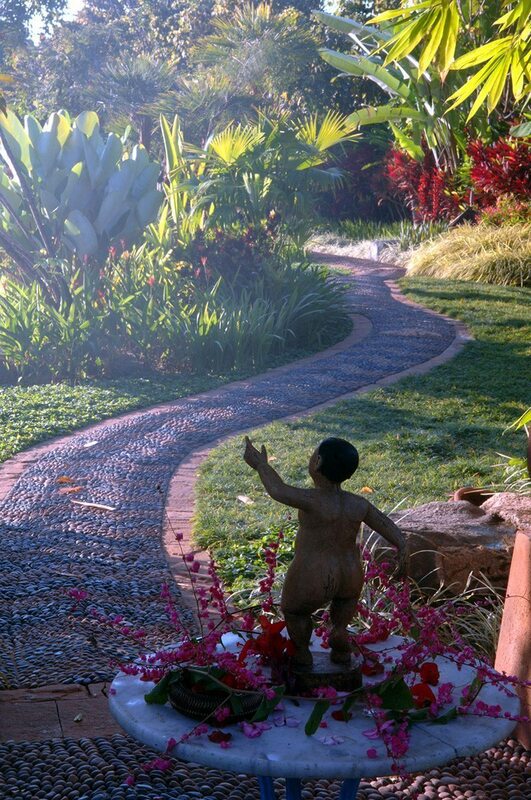 Experience these incredible gardens and breathe in their calming effect. 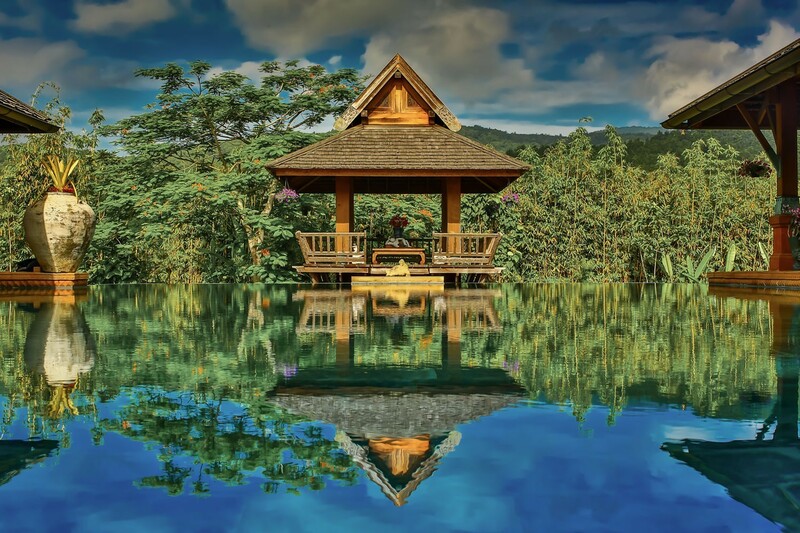 How often does the opportunity arise to have your own 5 star luxury Chiang Mai resort with private pool? 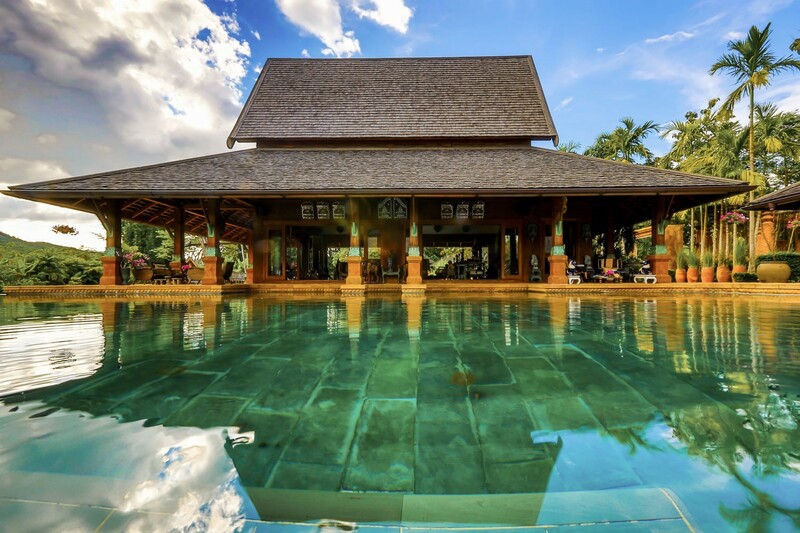 Maybe you are searching for Chiang Mai hotels with private pool? 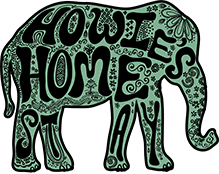 Here at Howie’s HomeStay you will find that and so much more. We are a 5 star luxury resort but 100% private. Our rates are fully inclusive and your villa will come with full service and all-inclusive with all meals. However, it is much more than this. It is actually a unique very private villa in Thailand where you will be our only guest! There are many places for you to choose from but nowhere do you have this level of opulence, service and privacy. By the way the infinity pool is huge at 72 feet x 36 feet. We are located in Mae Rim. 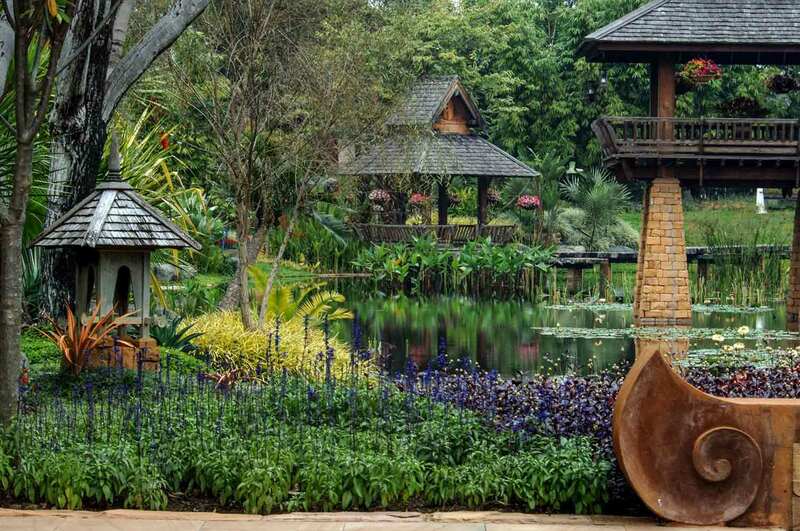 A true Chiang Mai mountain resort set in amazing surroundings. Lie in the private infinity salt water pool and enjoy the views to the mountains beyond. We here at Howie’s HomeStay are all about the experience which immerses you in the local ways and customs in a truly luxury Chiang Mai resort hotel. There is actually no comparison to any other property available here in Chiang Mai, a luxury villa with a twist! Staying with us is a truly unique and extraordinary experience. Contact us today and come for a visit that will stay in your memory forever!